Stay healthy this winter with Purell hand sanitizer! 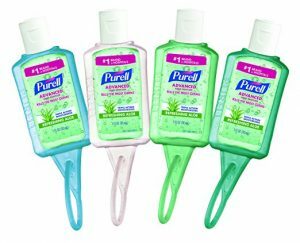 Right now on Amazon you can get Purell Advanced Hand Sanitizer, Travel Sized Jelly Wrap Bottles, Aloe (Pack of 36) for just $24 – a 62% savings! This works out to just $0.67 each! These will ship free with Amazon Prime or qualifies for free Super Saver Shipping with a $49 purchase.